If you care about online privacy, then the NSA cares about you…about spying on you. At least that is the gist of a story that privacy experts believe originated from a second NSA leaker. You may not have the required "balls of steel to operate a Tor exit node," but a new report based on a NSA-flavored leak shows that using Tor at all, or simply visiting privacy-related websites like the Tor Project (The Onion Router), Tails (The Amnesic Incognito Live System) and the Linux Journal paints a bull’s-eye on your back and marks you as a “target” for surveillance. Among the NSA's targets is the Tor network funded primarily by the US government to aid democracy advocates in authoritarian states. 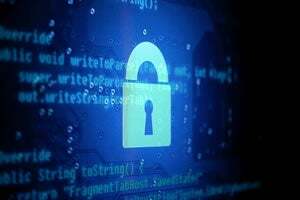 The XKeyscore rules reveal that the NSA tracks all connections to a server that hosts part of an anonymous email service at the MIT Computer Science and Artificial Intelligence Laboratory (CSAIL) in Cambridge, Massachusetts. It also records details about visits to a popular internet journal for Linux operating system users called "the Linux Journal - the Original Magazine of the Linux Community", and calls it an "extremist forum". Tor was originally created by the U.S. Navy, but has become a tool to circumvent censorship and is also used by journalists and “individuals in abusive relationships to help protect their privacy and physical safety." Although the rule for monitoring the Tor Project's website was tweaked to supposedly avoid collecting info on people believed to be located within “Five Eyes” countries – Australia, Canada, New Zealand, the U.K. and the U.S. – “Five Eyes” are not excluded in other rules. Tails “software is used by journalists, human rights activists, and hundreds of thousands of ordinary people who merely wish to protect their privacy,” but a comment in the NSA’s XKeyscore source code describes Tails as "a comsec mechanism advocated by extremists on extremist forums." The report added that other privacy-centric services are also monitored, including HotSpotShield, FreeNet, Centurian, FreeProxies.org, MegaProxy, Privacy.li and MixMinion. In response to this news about XKeyscore rules, the NSA claimed "the communications of people who are not foreign intelligence targets are of no use to the agency." That hardly rings true in light of the Washington Post’s investigation into actual NSA-intercepted communications; the Post found nine of 10 account holders “were not the intended surveillance targets but were caught in a net the agency had cast for somebody else.” So that makes the NSA’s newest statement appear to be no more than government-sponsored word games…surprise, surprise, or not so much at all. If you care about online privacy but have not read the report in full, please do. Other folks like Errata Security suggested steps people could take to jam XKeyscore.